The PKI 5275 is designed for day and night observations with just one complete unit. 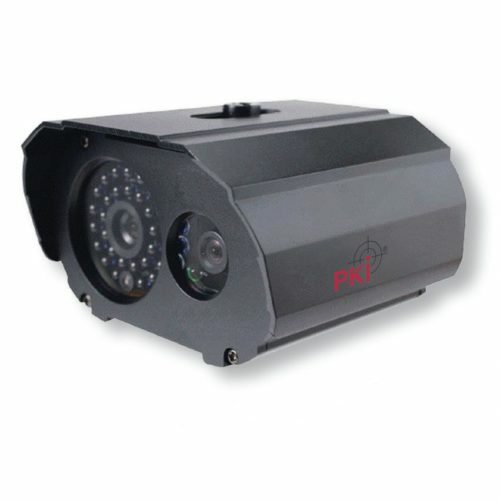 It consists of two cameras in one weatherproof housing – colour and b/w. The colour camera is for use at daylight and the b/w-camera, with integrated IR-lightning diodes, covers all tasks at nighttime . Depending on the field of application various objectives for both cameras are available. Just let us have your request and we shall provide the best possible configuration. The following technical data show every possible combination. Infrared LED’s: 30 pcs, 850 nm, for 50 m distance max.